Every BodyByJR ONLINE MEAL PLAN is personalised to the client’s goals and includes macronutrient splits (pro/carbs/fats) in relation to goal and activity level. You can purchase a monthly plan for a £60 fee. This includes your 6 day meal plan with one treat day a week. This is a one off fee (no contract). If you wish to continue for another month, we then amend your plan according to your progress and the fee is due again for a further month. All check-ins are made online with additional weekly emails sent for catch-ups / progress information. This fee includes a training plan. What does an online plan include? First of all, a nutrition coach will draft up your personalised BODYBYJR ONLINE MEAL PLAN based upon your likes/dislikes, lifestyle, activity level and goals. The personalised BODYBYJR ONLINE MEAL PLAN will include a 6 day meal plan with one treat day per week with all meal options broken down into calorie / macronutrient splits. Furthermore you will receive a weekly check up to keep you on track and hold you accountable to the plan. BodyByJR have over a 100 online clients and provide a service you will be happy with. As coaches, we need you to be 100% honest with us and that is what supply in return. In addition to your plan, BodyByJR offers an open door policy with 24/7 support. Upon receipt of your BodyByJR Meal Plan, you take your pictures and measurements as per the plan directs and email them to us. This information is kept on a confidential client database which will be reviewed and amended after one month. To find out more, send us an email and we will reply with a client questionnaire to complete. Once this is received, we will write up your plan. 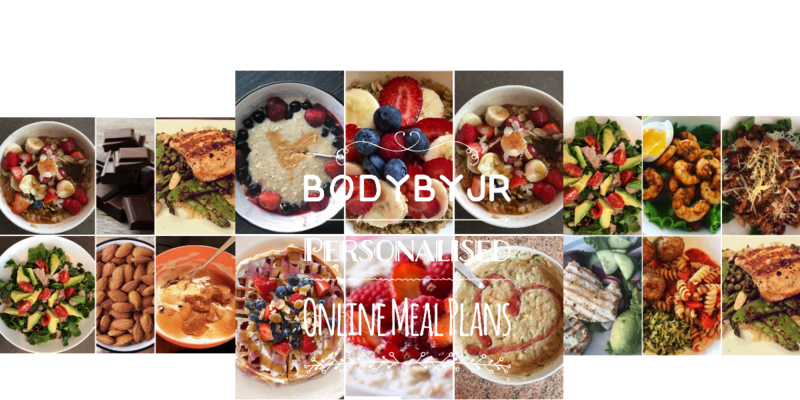 BodyByJR provides meal plans and online coaching to clients around the world. We have many national and international clients and can work with you wherever you live.